Frugal Living - Home Organize It! When I first started my home organizing business, frugal living was definitely not a popular lifestyle with many of the families I worked with. We lived in an area where there were lots of expensive homes and many families transferred in and out every few years. With the turn in the economy, however, many of those folks are finding themselves with upside down mortgages and they're rethinking all the stuff they accumulated during better financial days and are turning to more frugal living choices. Having always been a frugal person, I'm enjoying teaching people how to declutter, sell unnecessary items (i.e., on eBay, Craigslist, garage sales, etc.) and learn to appreciate a simpler lifestyle. If you research ways that you can live more frugally, you will literally find thousands of ideas. You probably landed on this page by doing a Google search. How far you want to take frugality, will depend on how serious you are about it. If you or your spouse have lost a job it's probably a strong need. One of the biggest areas you can cut costs is with food. Choosing to not go out to eat, to make your coffee at home, and shop in bulk can save hundreds of dollars per month. Check out my Easy Meals page to learn how to simplify meals and save money. To increase income, you can start by going through your clothes and books and sell them on eBay. Both platforms are very easy to sell on and doing so serves two purposes, getting rid of things you don't really use or need and bringing in extra cash. By the same token you can also do some of your own shopping on eBay or at garage sales for great deals on clothing and books, etc. Another way to contribute to your frugal living efforts is to use coupons. Coupons are plentiful these days, easily found online, in the local paper and in snail mail packets. Some people believe that being a Stay At Home Mom (SAHM) or a Work At Home Mom (WAHM) can help you to live frugally. This may well be true. After all, working at home saves the cost of daycare, eating lunches out, gasoline, and work wardrobe and dry-cleaning expenses. If you do work outside the home, you can practice living frugally by taking the bus, carpooling, or maybe even riding your bike to work. You can also take your lunch rather than dining out daily. Realizing how much you spend on the random and varied purchases you make each week is one of the first steps to living frugally. 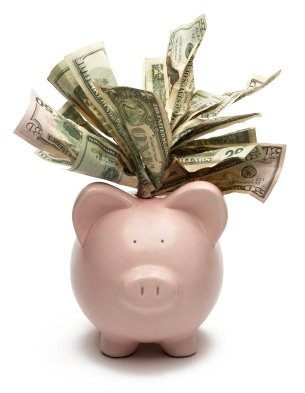 There are many, many ways to save money and live frugally. Living more frugally can be an easy way to cut your family’s expenses and save dollars. I've always been a frugal person. It helps that I don't like shopping ;-) But my passion is organizing and one thing I know is that it's essential to keep your money and finances organized in order to live frugally. Frugal living does not necessarily mean "going without" or never spending money either. You can live frugally AND enjoy a splurge or special purchase on occasion. There's all kinds of ways to live more frugally including learning how to save money in the kitchen, keeping your home clutter free and organized, saving on kids activities, moving on a budget, making your own gifts and much more. Living On A Dime is one of my favorite blogs about all things frugal. One of the benefits of living frugally is it requires you to be more organized. For example, let’s say you decide to stop buying convenience foods in your quest for frugal living. You’ll need to organize your meal planning, shopping and food preparation time if it's going to work. Living frugally has other benefits too. You’ll be buying less things which means you'll be spending less time taking care of them. As you begin to test the waters of frugal living, you are only limited by your imagination. Living by the "Less is More" philosophy can make life less complicated too. "Simplify, simplify!" Return From Frugal Living To Home Organize It!